Rich in cinnamon and other spices, they are traditional biscuits that can be served with tea or coffee: try the recipe! 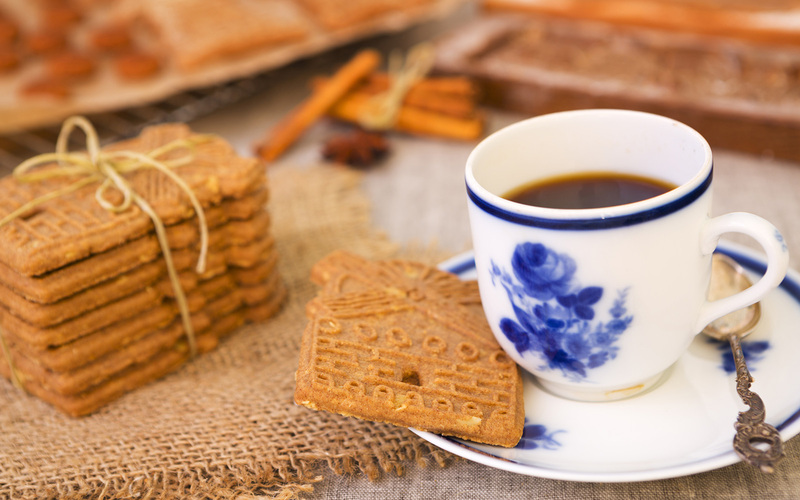 In Belgium and in the Netherlands are served throughout the year accompanied by tea or coffee, even if the moment in which they are consumed most is that of the Christmas holidays and in particular of St. Nicholas: they are the speculoos, traditional biscuits flavored with different spices, including la cinnamon. Their name probably derives from the Latin speculum, or mirror, which refers to molds which can be used for to mirror the dough of the characters traditional cookies and symbols. How to prepare them at home for a coffee break suitable for all seasons? Here are ingredients and procedure! In a mixer, insert the flour, sugar and butter that you have cut into small pieces. Mix everything: the final consistency must be sandy. Move everything on a cutting board and start working with your hands. Add the spices to taste – you can also add black pepper and ginger if you love them – and create a ball with the dough. Wrap it in cling film and put it in the fridge to rest for a couple of hours. Then take the dough and roll out the dough with a rolling pin. If necessary, sprinkle the pastry board with flour. Then get the biscuits: the professionals of the speculoos use special molds that emboss the shape of traditional characters on the biscuit, but simple cutters or the knife to create rectangular speculoos are fine. Turn the oven to 180 ° C. Move the cookies over a baking sheet lined with baking paper and bake them for about 15 minutes. Always check the cooking! Melt the chocolate with the butter. once melted, add the sugar and cocoa and mix to mix well. Then add the eggs and mix. As soon as the mixture is homogeneous, combine the sifted flour with the baking powder and mix carefully until a smooth mixture is obtained. Cover the dough with some film then put in the fridge to cool for about 30 minutes. Obtain a lot of balls as large as a walnut from the dough, flatten them and stuffed with half a teaspoon of dulce de leche and a pinch of salt. Then close and form cookies. Put the biscuits on a baking sheet lined with parchment paper, then bake at 180 degrees and cook for about 10 minutes. Let the biscuits cool before serving.